The Nursery first opened its doors in 1981 as an extension of Ronnie and Rika’s passion and love for nature in all its shapes and sizes. We strive to inspire local gardeners to transform their homes into a wonderful, healing and environmentally friendly retreat, by using our excellent garden products through honest, friendly service and practical solutions. 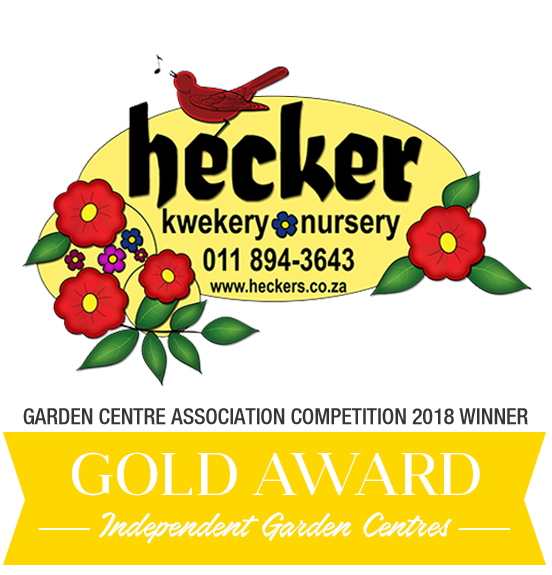 We have also started growing our own plants through the Hecker Homegrown brand, with which we are able to provide you with excellent quality plants and great prices with virtually no carbon footprint. Join us for a relaxing stroll through the Nursery accompanied by soothing bird calls, or stop in at Café Ambrosia which will satisfy any craving, sweet or savoury. We pride ourselves on providing solutions to your problems in a friendly and helpful manner.